On the long boulder marked "Y" in between La Merveille and the North side of Le Rempart. 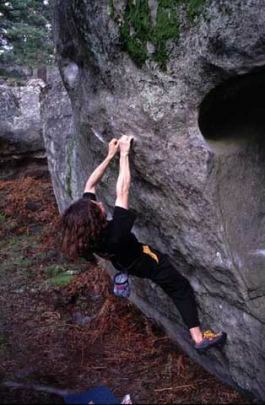 Sitstart of Révélation, starting from the angle with a partially broken crimp left hand (still realizable? ).